We have started the New Year on a high after winning a ‘Product of the Year’ Award from US Glass Magazine for its new ClearShield Eco-System™. This is the company’s 13th award for innovation and quality in its history. 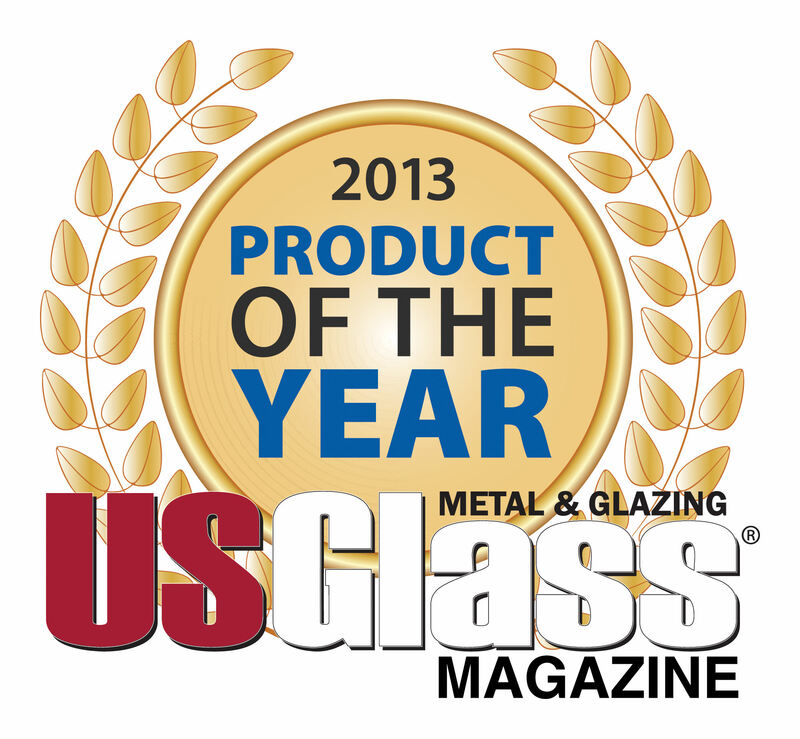 US Glass Magazine only honours the best of the best and has recognised products this year that are ‘so new, so revolutionary or unique that they merit honour’. This award is specifically significant to members of the industry as it is voted for by the readership of America’s leading glass publication. – Energy Savings on Routine Glass Maintenance – On average this product reduces by 50% the energy requirements for routine glass washing. This includes, but is not limited to: transportation to site, operation of access equipment, production of cleaning materials and consumption of water. – Hygiene – ClearShield® anti-microbial protection can help to prevent the prevalence and spread of potentially harmful infections such as MRSA, e-coli and C-difficile, thanks to its unique ‘non-stick’ surface. This acts as a barrier that resists the adhesion and growth of bacteria, viruses and fungi. – Enhanced ‘Day-Lighting’ – By maintaining the original light transmission of crystal clear glass for longer. 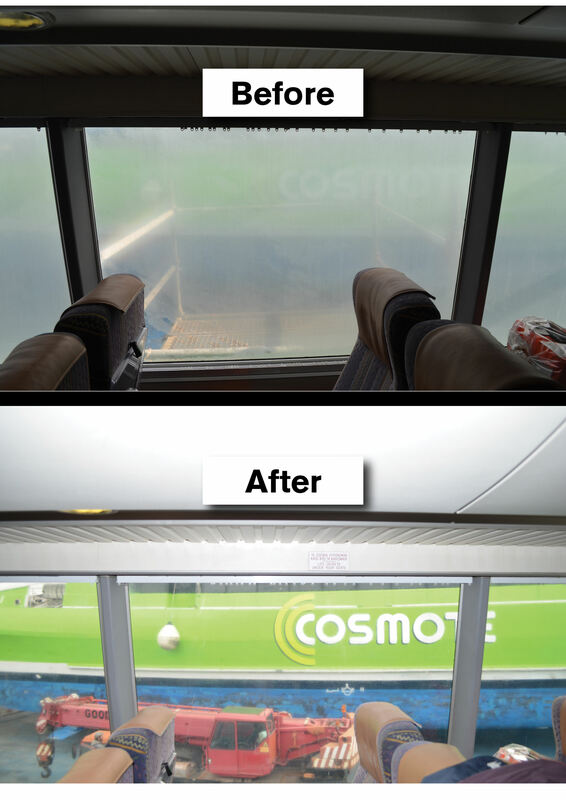 In addition, ClearShield® can be applied to both new and existing glass which can be bought back to a ‘like-new appearance and functionality’ by using the ‘Renovation’ step of the system. This latest award comes hot on the heels of the company being named as Finalist for the G13 Environmental Initiative of the Year Award, thus achieving success simultaneously on both sides of the Atlantic! Last year, Ritec was awarded the ISO 14001 standard. This International Organization for Standardization (ISO) standard is designed to address the delicate balance between maintaining profitability and reducing environmental impact and is achieved with the commitment of the company as a whole. This is accepted internationally as a great achievement and accredits Ritec International as having an effective environmental management system in place within its business. Leading glass and mirror manufacturer, Go-Glass, chose Ritec’s new ClearShield Eco-System™ to protect and maintain its latest decorative glass commission for the London edition of the Balthazar Restaurant. This second Balthazar restaurant was recently launched to great critical acclaim in Covent Garden and again features stunning glass ‘Art Deco’ style interiors which are synonymous with the brand. Having used Ritec’s ‘non-stick’ glass surface treatment for many years, Go-Glass applied the ClearShield® easy-clean treatment on to the special acoustic laminated glass, in which they had etched a sandblasted border design, in their own factory. Ordinary glass treated with the ClearShield Eco-System™ is upgraded to ClearShield Eco-Glass™, resulting in a higher quality of glass with excellent clarity. The restaurant’s glass will also hold a pristine appearance for longer and will always be easier to clean, providing low maintenance cost savings for the restaurant. In addition, ClearShield Eco-Glass™ is more hygienic thanks to its anti-microbial properties. Meeting direct food contact test requirements of the EU and the USA Food & Drug Administration (FDA), the anti-microbial properties significantly reduce the accumulation of bacteria, viruses and fungi and it is therefore ideal for commercial and private kitchens. We met up with architect, Sam Tisdall, who updated us on a building project where he specified ClearShield®. Sam was commissioned by the owners of a stunning 1920s house and garden to create a modern extension. 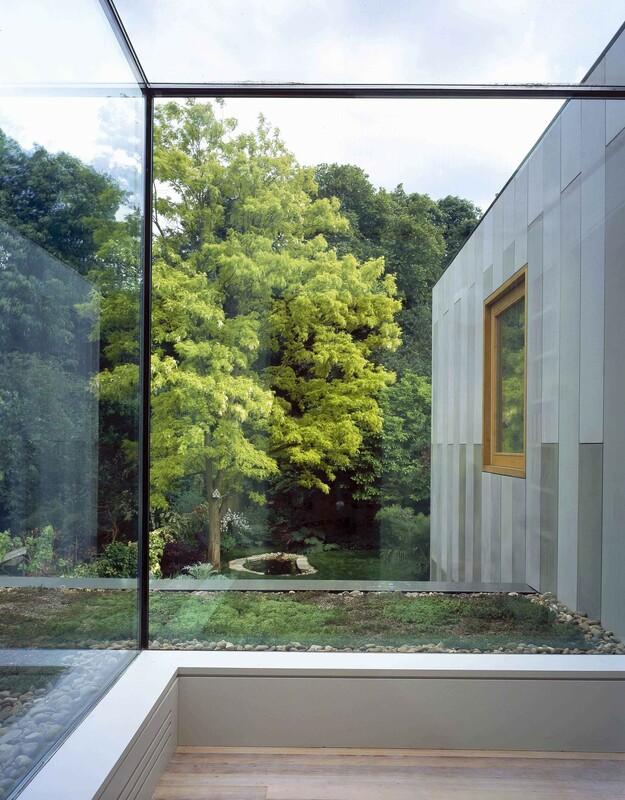 Sam was briefed to maximise natural light and to open up the small-scale rooms to the garden. In order to do this, Sam proposed a large rooflight to the ground floor extension and a frameless glass box which sits on a green roof on the first floor. 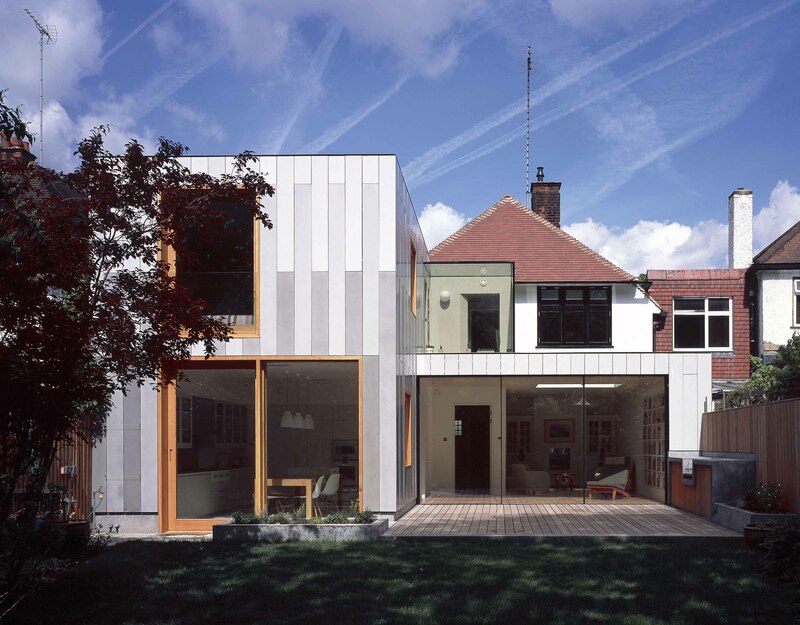 The development radically extended the rear of the house with an extension, clad with glass-reinforced concrete panels and large areas of glazing. This linked the old house to the new first floor and has given the owners wonderful views of Chiswick House. Sam specified Ritec’s ClearShield® to both the glass box, the rooflight and also a bespoke floor to ceiling shower screen to make sure that the glass could be easily cleaned and would remain crystal clear far into the future. This was applied on-site and was particularly useful for the specialist glass sub-contractor who preferred to handle untreated glass during installation. Completed two years ago the glass remains easy to clean and in good condition reports Sam who plans to specify ClearShield on a new project soon. Today there is little reason to ignore the need for protection of glass against corrosion, as affordable ‘non-stick’ technology in the form of ClearShield® now exists that enables glass to keep its promises of clarity, visibility and cleanliness. ClearShield® can be applied in the factory using either manual or automatic spraying equipment or as in this case on-site as part of Ritec’s award-winning ClearShield System™.